Yolanda Charney was born and raised in El Paso, Texas and is a founding board member of Tulsa Honor Academy. She married her husband in 1956 and have three children together. 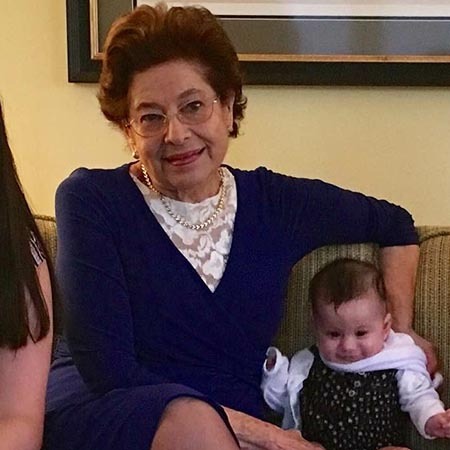 Over her life, Yolanda served as Director of Community Relations for the Jewish Federation of Tulsa for 20 years and Executive Director for the Hispanic American Foundation for 4 years. She has extensive volunteer experience ranging from the Greater Tulsa Area Hispanic Affairs Commission to the Tulsa Hispanic Chamber of Commerce and has won multiple awards for her dedication and hard work. Most recently, she was honored at the YWCA's Centennial event "100 Women with Moxie". Yolanda graduated from The University of Texas at El Paso and has a deep passion for education in Tulsa.